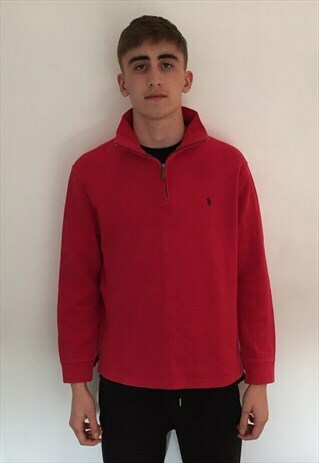 Vintage red Ralph Lauren logo Quarter Zip Fleece. Very high quality and in excellent condition. Size mens medium and fits true to size. Grab a huge steal! (Please note: all our items are vintage and may show minor signs of vintage wear, however anything else will be mentioned in the description above). Fleece is in excellent condition with no signs of any wear.